2009-2019 TwispWorks is Celebrating 10 Years! When the US Forest Service consolidated Methow Valley Ranger Station operations to Winthrop over a decade ago, many worried the Twisp campus would be relegated to the history books. But the entrepreneurial spirit of local residents combined with a generous $1 million loan from an anonymous donor to purchase the property, have given the campus a new life! 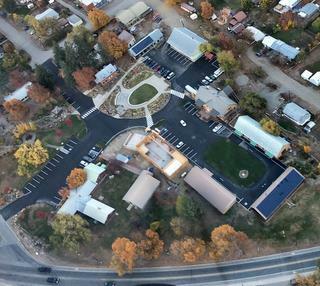 With the loan came a challenge to promote economic vitality in the Methow Valley by reactivating the 6.4 acre campus while creating a financially sustainable business incubator. Since 2009, nearly 45,000 square feet of revitalized space has been created, both in the 17 existing building and in newly constructed spaces. Over 50% of the campus partners are artists and TwispWorks is also home to many businesses, two schools, a light manufacturing facility, a brewery and even the local newspaper and radio station! 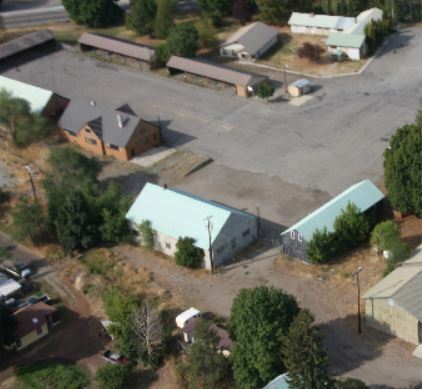 With the campus facility fully occupied and sustaining itself through rental and earned income, the loan from the generous donor who purchased it from the USFS in 2009 will be forgiven and TwispWorks will secure the deed to the property. The community vision for revitalizing the old ranger station at the entrance to Twisp, creating an economic engine has been a decade in the making and we are grateful to this community for helping us achieve this milestone! Join us on the Plaza@TwispWorks, Saturday, June 29th, to celebrate 10-years of TwispWorks and the receipt of the deed to the TwispWorks campus!